2 Guys Show - #1 Welcome to the 2 Guys Show! iTunes News and Noteworthy Podcast! Download and listen to our shows on Podomatic and iTunes! "What's On My Playlist" Songs from The Two Guys Show on Spotify! The Two Guys Show #37: WE'RE BACK! We are very excited for episode #33 of The Two Guys Show with our good friends from Remind 101, Clara Galan, Brett Kopf, and Christine Garland! Remind 101 is a safe and secure way to text your class, or in our case as elementary teachers, the parents of the students in your class. The Remind 101 team has been working hard the past year adding several new updates and features including "Attach." Attach photos, documents, presentations, PDFs and more. Deliver your assignments and documents right to your students and parents' phones. 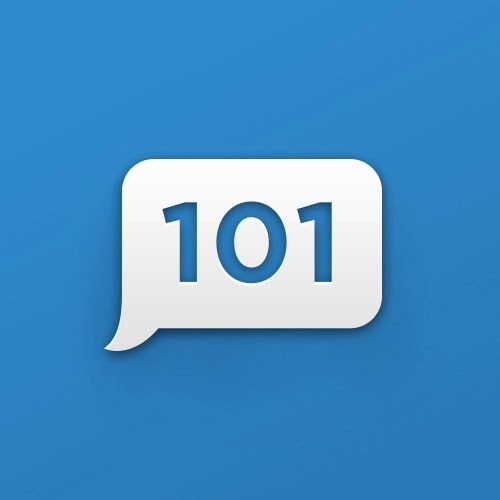 We will discuss Remind 101's history, philosophy, and future. During our 30th episode of The Two Guys Show tonight, we are excited to have Apple Distinguished Educator, Sue Gorman join us! Sue teaches at the Institute of Professional Educator Development at the University of Wisconsin-Parkside and is an Innovative Learning Consultant. She is not only an Apple Distinguished Educator, but a Apple Certified Trainer and a Google Certified Teacher. During our 29th episode of The Two Guys Show tonight, we will is share how we have integrated AR in our classrooms, but also the amazing stories and experiences educators have shared with. 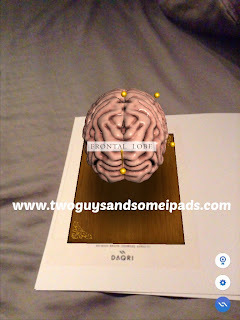 We will be discussing DAQRI's 4D Studio, Aurasma Studio, several AR applications used in education. It will be a fun filled episode with a lot of meaningful ways to integrate augmented reality in education! We will also be looking for examples shared during the live show tonight on twitter using the #2GuysShow. We will make sure to share as many examples tweeted to us live as possible! We are very excited to be back this week with episode #28 of The Two Guys Show! Tonight we will be discussing augmented reality creation. We will feature various platforms for augmented reality creation but mainly focus on DAQRI's newly released 4D Studio! For tonight's show will be using the usual hashtag #2GuysShow but also #4D. We are so excited to have Aurasma's David Stone join us tonight on The Two Guys Show! David is the Global Head of Operations at HP Aurasma. We will discuss augmented reality in education, how David first discovered AR, as well as the amazing updates and innovations Aurasma is working on. Welcome to the 27th episode of the The Two Guys Show! Tonight we welcome the amazing Leslie Fisher! Leslie is Chief Geek of Fisher Technologies Incorporated which specializes in K-12 presenting and training, Digital Photography education, capture, workflow, editing and a touch of web development. Leslie is always on the cutting edge of educational technology and is an inspiring presenter! We are very excited to have Leslie join us for this episode to discuss this week's MACUL Conference and her Augmented Reality workshop tomorrow! Jena Ball is a writer, illustrator and educator who believes that fostering emotional intelligence in children is as important as teaching reading, writing and math. She began her career in Japan where she penned everything from technical papers, marketing collateral and ESL textbooks to speeches for SONY's Akio Morita. During her 30+ years as a freelancer, she has focused on the role animals play in keeping ecosystems and human beings healthy. In particular, she is fascinated by the way pets teach empathy, compassion and respect. This led to the development of the CritterKin series of children's books, which uses the stories of 8 goofy, mixed breed dogs to teach kids that animals (critters) are family (kin). Together with her business partner, Marty Keltz, the Emmy award winning producer of such celebrated children programs as "The Magic School Bus," "Goosebumps," and "Charles in Charge," she is translating the CritterKin stories into project based learning opportunities for teachers and students. The goal is to make learning entertaining, informative and practical, giving students a chance to experience and practice the skills they need to become compassionate, responsible adults. You can learn more about Jena at her website http://jenaball.com or at www.critterkin.com. Starr is the Author of Teaching Mythology Exposed, a lover of the written word, student press rights advocate,and motivator of the college bound, but most importantly she is a Mom! You can learn more about Starr at her website http://starrsackstein.com. We are very excited to welcome the great Wes Fryer as our guest tonight for our 14th episode on The Two Guys Show! 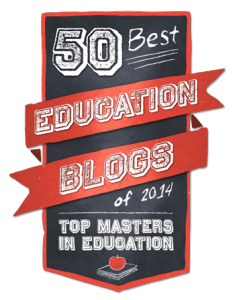 We first met Wes last summer at ESSDACK's education revolution Podstock in Wichita, Kansas. 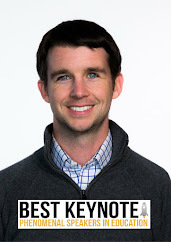 It was great talk and learn from him throughout the conference, and then later participate in the K12 Online Conference which Wes helps organize. Mitchlehan Media are the brains behind 2 engaging and educational augmented reality applications! Their apps are targeted for early elementary education and capture the students attention bringing flashcards to life! Their fun filled FREE app AR Flashcards helps students with letter recognition, and their newest app AR Flashcards: Space is just $0.99 for a 3D look at the solar system with informational audio recordings about each planet! This week we are excited to welcome Don Wettrick, a high school broadcasting and innovation Teacher from Indianapolis, IN. Don is also a FCTV Advisor, host of the Franklin Film Festival, an International Speaker/Presenter, and Google Glass Explorer. Don has his own podcast on the BAM Network and a YouTube Channel call The Focus Show Online that focuses on connecting educators. Welcome to episode #11 of The Two Guys Show with our featured guest Brad Gustafson! Brad is a principal in Wayzata, MN and is inspiring his staff to do amazing things using augmented reality. He has recently started the World Book Talk which allows students to us the augmented reality app Aurasma to view book talks from students and adults from all over the world! He has also recently announced a new podcast he will be starting with 2 other principals, John Frizky and Tony Sinanis, called 3 Leaders Making Videos. Their podcast will debut around Thanksgiving time this year. This episode will inspire you and bring you to tears with laughter as Principal Gustafson does an "AR AMBUSH" on our very own Brad Waid. This moment in the show is priceless! Check out this episode and see how Brad is inspiring his teachers and students to reach amazing new heights! Welcome to episode #9 of The Two Guys Show! This episode will focus on "Game Changing Apps" for student engagement, teacher productivity, and augmented reality. We will show and discuss how we are using these apps to change the culture and engagement in our classroom and our school. This episode will benefit all grade levels and administrators. This is happening now! Come see how you can change the game! Learn. Teach. Lead. Changing the Game! Use technology to increase parent involvement and interaction. Create engaging activities with the use of augmented reality. 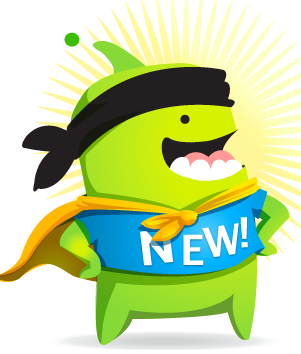 Provide engaging activities for students to learn how to code. Help teachers create digital portfolios for themselves and the students in their class. We had the pleasure of talking with Adam Bellow during the Two Guys Show the other night for episode #8. This episode is filled with laughs and great information about how Adam is out to change the world. During the show, Adam gave us a great history and overview of eduClipper and how educators can use it in their classroom. EduClipper can be a great tool to build digital clipboards and create presentations. Adam also gave the world premier of the eduClipper iPad app that will be out late November, early December. We were very excited and honored to have Adam on the Two Guys Show, and show a sneak peek of the eduClipper App. Hear us three talk about gadgets, the upcoming Apple event, and the latest in technology! We also discuss our thoughts on the common core standards. Have a laugh with us as we talk with Adam about how the three of us met for the first time last year at the MACUL Conference in Detroit, Michigan. Adam also recounts discusses our time together at ISTE in San Antonio last summer. Enjoy the show and be sure to check out eduClipper and follow Adam Bellow on Twitter @adambellow. We were thrilled to have Walter Duncan join us on the Two Guys Show for episode #7. 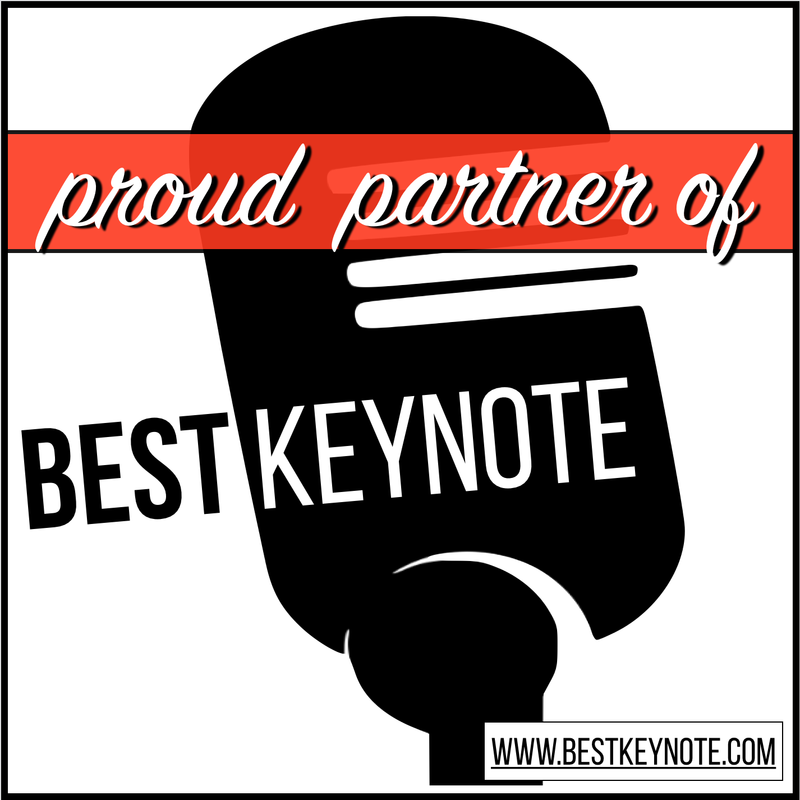 Walter is the creator and mastermind behind Quick Key, the short cycle formative assessment app that puts the power of information into teachers hands! We were extremely honored to have Angela Maiers as our special guest for our sixth episode of The Two Guys Show! Angela is an award-winning educator, speaker, consultant and professional trainer known for her work in literacy, leadership and global communications. She is the founder and Lead Consultant of Maiers Educational Services. It was inspiring to hear how Angela started the #YouMatter Movement to show the power of letting people know: "You Matter." This feeling propels individuals to see the world in a different light and achieve amazing things. During our interview Angela also discusses her organization Choose2Matter. Choose2Matter is an organization on the quest to change lives, and change the world. Angela's energetic and passion is inspiring people around the world to make a positive difference! We were also very excited to announce we have submitted a joint proposal for the 2014 ISTE Conference with Angela, and our great friend Todd Nesloney to spread the word and message: YOU MATTER! We are happy to announce QuickKey founder Walter Duncan will be our guest next Tuesday night at 9pm EST so don't miss it! Last night we had the pleasure of having Shannon McClintock Miller join us for our 5th episode of The Two Guys Show. Shannon is a game changing teacher librarian & technology integrationist who loves connecting, creating, change, advocacy & NOISE. She is also a teacher librarian educational consultant for Mackin Educational Resources and Rosen Publishing. Shannon is a presenter & blogger. She is also a 2011 Connecting People Shorty Award Recipient. Welcome to the fourth episode of The Two Guys Show! Last night we were excited to share the power of augmented reality. Augmented reality is is a live, direct or indirect, view of a physical, real-world environment whose elements are augmented (or supplemented) by computer-generated sensory input such as sound, video, graphics or GPS data. We believe AR is the future of educational technology because it allows students to learning in a way like never before. We are able to bring a hands on approach to objects before was impossible. You can also engage students to practice letter recognition with AR Flashcards. 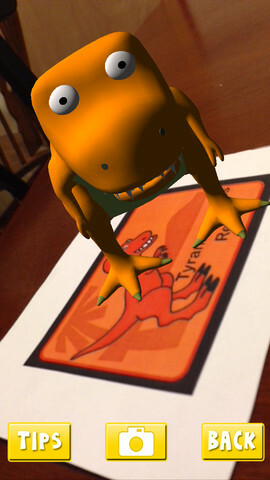 Mitchlehan Media is about to release their second augmented reality app called AR Flashcards-Space. Those will be available very soon in the app store. Students and teachers can create their own augmented reality using Aurasma. Aurasma allows you to create AR in the app on your device, or on a computer using the studio account. Another company who is looking to change education with the use of 4D is Daqri! We believe Daqri has develop the best augmented reality content out there. 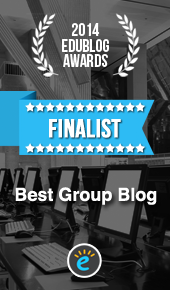 They create an engaging and educational experience for each user. They have developed Autonomy 4D and recently successfully funded their Kickstarter campaign for Elements 4D. Look for more amazing AR in the future from Daqri. Welcome to the third episode of The Two Guys Show! Last night we had the pleasure of having our good friend and tech ninja Todd Nesloney as our special guest. 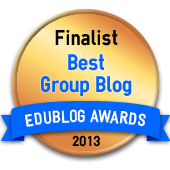 Todd is a trail blazing educator from Texas who is a black belt at the flipped class model. He has recently contributed to Flipping 2.0, a book on practical strategies to flip your classroom. 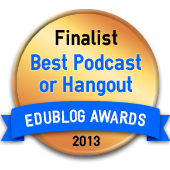 Todd is also Co-Founder of the popular Edu All-Stars Podcast and the training company "3 Tech Ninjas." In addition to being named as one of the "20 to Watch" by the National School Board Association, Todd also works with Texas Principal, Remind101, Sophia.org, and several other organizations. You can check out much more information about this tech ninja at this site http://www.toddnesloney.com Todd also was excited to share TWO BIG announcement while on our show and you will have to listen to find out! We have had a lot of request for an AR 101 show so we are excited to say it will take place next Tuesday night at 9pm EST!! Working hard with Erin Klein before ISTE Conference. We are happy to announce our great friend Erin Klein will be our first guest next Tuesday night at 9pm EST so don’t miss it! 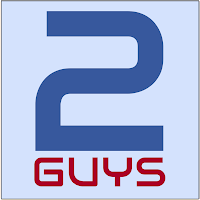 Two Guys #01: Welcome to The Two Guys Show! Welcome to the first ever episode of The Two Guys Show! We are excited to join EdReach and share our passion and energy with everyone. This episode focuses on the layout of our show and our backstory. We are happy to announce our great friend Erin Klein will be our first guest next Tuesday night at 9pm EST so don’t miss it! We are excited to announce we will be joining the EdReach Network with the creation of The Two Guys Show! Our show will be live on Tuesday night with the time still TBD. It will be available to download and subscribe in iTunes and using the Stitcher app. Our show will be full of energy and passion for sharing ideas, stories, and educators who are making a difference in the lives of students. We will announce our the date and time of our show very soon so stay tuned! Make sure to check out the promo video for The Two Guys Show! Two Guys Show Press Release! 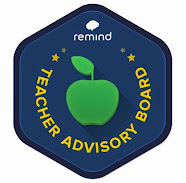 CHICAGO, IL, August 21st, 2013 ­ EdReach.us today announced today the launch of a new educator channel: Two Guys, hosted by Michigan educators, Brad Waid and Drew Minock. The EdReach Network is an education broadcasting network, providing live shows and podcasts for the education innovator. Brad and Drew have made a name for themselves as enthusiastic proponents for augmented reality in the classroom. You can read about their adventures at their website TwoGuysandSomeiPads.com. You’ll be able to watch and listen to their new shows at http://edreach.us/channel/twoguys/ and view the live broadcast at EdReach’s Google+ Page. This channel is one of many new channels EdReach is launching in its fall season, including Subtext’s The Reading Room and TechSmith’s ChalkStar to Rockstar. EdReach and its dozens of education contributors are staples at all the major education conferences. With a channel on EdReach, Two Guys and educators alike like can now share strategies and tips for others to a huge education audience ­ every day­ on The EdReach Network. EdReach.us today also announced the launch of a new show on The EdReach Network: #LadyGeeks, to premiere the last week of August, just in time most educators in the U.S. are back at work. The #LadyGeeks show is co­hosted by educators Katie Regan and Shari Sloane. The #LadyGeeks are passionate about learning and sharing everything tech, especially in education. 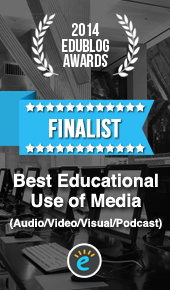 EdReach is an Education Broadcasting Network based out of Chicago with unique live video and podcast programming for the innovative educator. You can engage in their new show soon at EdReach.us/ladygeeks and watch them live at EdReach’s Google+ Page. This new show adds to a slew of new shows premiering on the EdReach Network’s fall season, including Subtext’s The Reading Room, TechSmith’s Chalkstars to Rockstars, Two Guys, an untitled comic strip, among others. #LadyGeeks and educators alike can now have an education conference every week­ every day­ on The EdReach Network. You can preview and subscribe to the #LadyGeeks show by going to EdReach.us/LadyGeeks. EdReach Global (www.EdReach.us) is based out of Chicago, IL and was founded in 2012. The EdReach Broadcasting Network has hundreds of education contributors in the US, Australia, Singapore, Shanghai, the UK, and abroad. They are in their early stages of funding, but will be seeking to complete an institutional round of capital this year to further accelerate their growth. Thousands of educators every month turn to EdReach for the latest in innovative teaching practices, learning models, tools, ed news, and resources.